Dr Lal Pathlabs recently announced its partnership with BD India to set up new standards of skill excellence in collecting blood samples. The partnership venture is called the Centre of Excellence, which will provide certified training on safe blood collection practices. 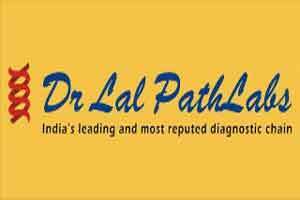 The process of revisiting the standards of skilled manpower required for the first step of pathology (in order to achieve accurate results) has been set by Dr Lal Pathlabs. In this initiative, certified phlebotomy courses have been constituted for healthcare professionals, laboratory technicians, assistants and nurses, and help them in driving best practices in preanalytical processes for accurate and reliable diagnosis. There are many clinical laboratories in India, and in most cases the errors in laboratory testing can be as result of deficiency in the service at pre-analytical phase. Blood collection is a critical step of this stage, and hence requires adequate manpower skill training to handle the growing healthcare situation with confidence.